...after being on the JessicaSprague.com Creative Team for over 2 years...it is time to say goodbye! ...but as one door closes...two more open...don't you LOVE how that works!!! ...I have joined the liv.e DESIGNS creative team...and I am so honored to be working beside these creative artists who are supportive and most importantly great friends! 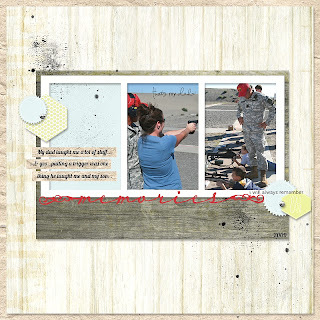 ...I have already shared a couple of my first LOs since joining the team...but here is my newest...I dug through my computer and pulled out some photos from about 3 years ago of me and my dad...I thought is was time that I do something with these...I used Liv's newest KNOCK ON WOOD PPs which are arriving soon in the store at JessicaSprague.com. 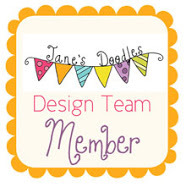 ...and I have also become a member of Jane's Doodles Design Team! Woo Hoo...and it feels really good to be playing with paper again! Sad to see you leave....but HOOOOOOORAY for another team spot!! Congrats on joining the Jane's Doodle DT!! !